﻿﻿﻿﻿﻿﻿﻿﻿﻿﻿﻿OK... 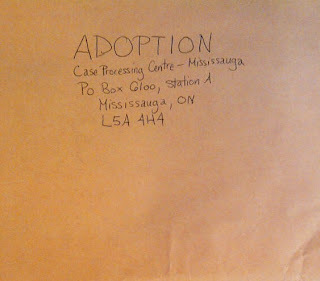 So the Immigration Process is slowly starting to appear clearer in my mind... A﻿﻿﻿s you know, we chose to obtain Canadian Citizenship for our child through the Sponsorship process. The concept of Sponsorship is that you become accountable and responsible for the person who is immigrating to Canada. You have to provide food, shelter, money, etc. For a set period of time (10 years for an adopted child), this person cannot benefit from Employment Insurance or Social Wellfare. Any money they could need has to come from you. Obviously, adopting a baby involves way more accountability and responsibility anyway, so that doesn't scare us. Once Immigration and Citizenship Canada has approved you as a potential sponsor, you can apply for your child to obtain a Permanent Residency visa in the Canadian Visa Office of their country of origin. To do this, you will need some documents specific to the child. This means that this step cannot be completed before the referral. 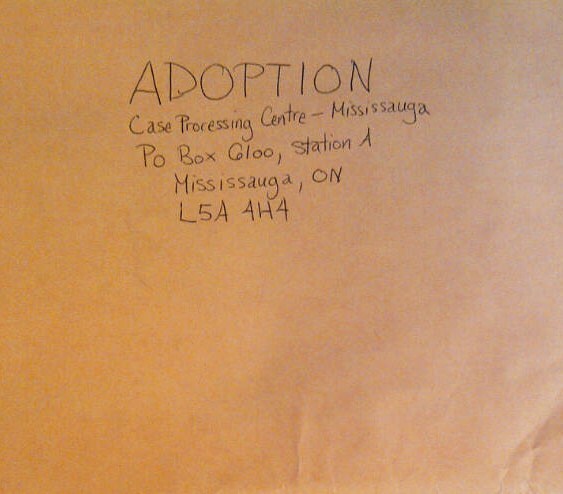 Our Sponsorship Application is ready to be sent out! To compete our application, we used Guide IMM 5196. If you're getting ready to fill out an application too, it would be wise to search for "Sponsorship of adopted children and other relatives — The sponsor’s guide" on the CIC Website. I'm guessing these get updated every now and then! And if you have questions, brew yourself a pot of coffee (or two), call CIC (1-888-242-2100) and keep trying until you get someone! Immigration: Which Process to Choose?